Hello …yep I’ve done it, squeezed in another little bloggy post before the summer! I’ll be featuring a new card every week on my blog which I hope you will all enjoy, as I have some new designs I can’t wait to show you! First card hot of the press is Squirrels Card available to order now! So, I think squirrels are lovely, and wouldn’t it be nice to see both greys and reds getting on just fine and sharing their acorns and living happily ever after. Well thats whats happening here on my new card, two very content little guys just getting along. There is a matching squirrels mug too…makes a great little Birthday gift for any squirrels fans. 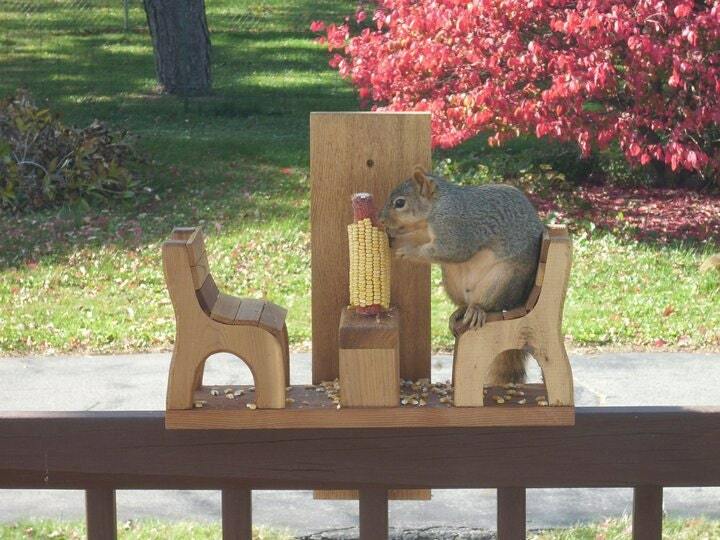 Get you very own picnic bench squirrel feeder on Etsy. How cute is this little guy!! 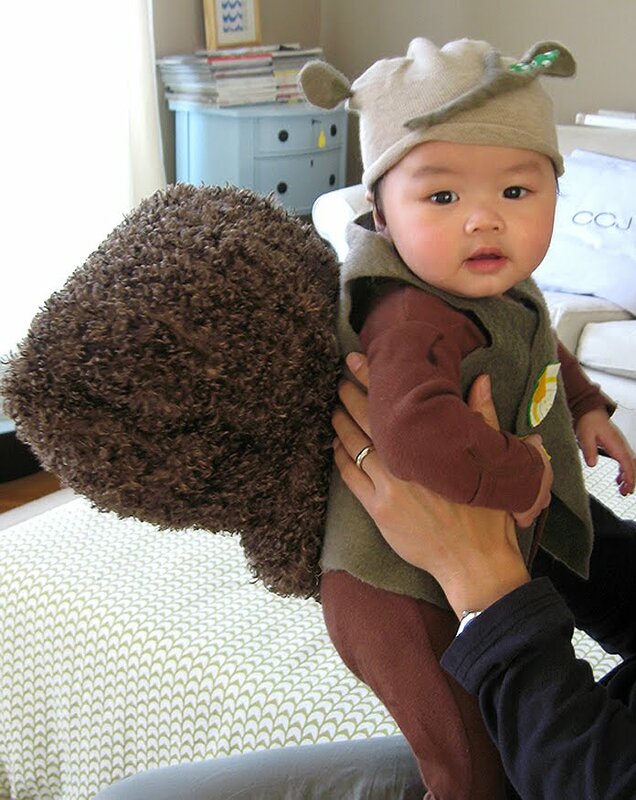 If you find you have a little bit of time on your hands, you can find out how to make a ‘Nutty Squirrel’ costume like this here on this fab blog. I don’t think there are instructions for grown-up’s costume unfortunately, but hey I’m sure it could be adapted with a little imagination somehow! Bye for now, have a great week from me and the squirrels! This entry was posted in latest work, Uncategorized on January 9, 2012 by jo clark. A very Happy New Year to everyone, I hope that 2012 will be a year filled with fun times, good health, happiness and success! My blog has been seriously neglected over the past few months and I’m really sorry about that, so I am starting the new year as I hope to go on…by becoming a regular blogger. Thanks to everyone that came to visit me and supported me at any of the craft fairs that I exhibited at over the last three months around the UK. Its always so lovely to meet my customers face to face and I hope you all had a fantastic Christmas. So this year is going to be a very exciting one for Jo Clark Design with lots of big things happening in the coming months, so much so I’ve made myself a calendar to keep track of things! You can get hold of one of these from my shop if you need one too. This was a very popular item at craft fairs over Christmas, and I hope it is brightening up the start of the new year for all of you who bought one. I’m looking forward to exhibiting at the British Craft Trade Fair in April, and again in June at Pulse Trade fair London which is all very exciting, I’ve actually been dreaming about setting up my stand already. I’ve been working on new designs, products and ideas for the new year, and I can’t wait to launch them. This is one of my popular card designs digitally printed onto lovely cotton fabric and beautifully made into a soft cushion ideal for the living room or to decorate the bed with, you can get hold of these now! Its been a very busy year with not a lot of time for new drawings or ideas, but I plan to keep on drawing and showing you my latest ideas right here, so I hope you will like them. This is a little fish doodle for Kate who has just transferred her lovely fish into a bigger better tank, but we are all a little worried about the little crabby guy. Look…he’s just fine see, my gold fish of tanks gone by are looking after him now. I was so flattered to be asked to do a commissioned piece of my little Fox character, he does always get a lot of attention on my stall. This piece is made with collaged papers pen and pencil…and I loved getting my scissors out for this one. It was great to get back to collaging, its been a while since I used this in my work, but I can’t wait to do some more. Watch out for these guys…they look like trouble to me, they will be making an appearance very soon. Speaking of trouble makers…here is one of my new products with some cheeky little squirrels on, the red ones and a grey, but they are all living in harmony here with enough nuts to go round and keep everyone happy. Just don’t forget where you’ve stashed them chaps! These were a very popular gift this Christmas, did you get one of them? These will be back in stock very soon and a matching squirrels card coming too! So thats my first epic blog post of 2012…I hope you’re not asleep yet! meeeooooow yawn… like the very lazy Daisy cat! This entry was posted in Uncategorized on January 1, 2012 by jo clark.